Injection moulded exterior body with moulded bio-foam interior. Modular protection system is adaptable to many riding conditions. Ratchet buckle closure system. The Comp Deflector is the lightest under-jersey roost guard available. Includes perforated and moulded bio-foam chest. Padded Lycra collar. Double stitching in main construction areas. TPR and direct inject logos. Dryarn Technology (Thermal insulation of the body, with dissipation of sweat to the outside). Homologated Stone Shield EN14021. Homologated Shoulder and Elbow pads en1621-1/97. 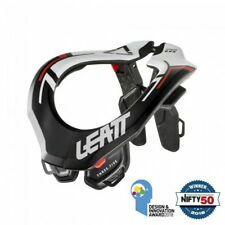 Homologated Back protector EN1621-2/2013 Level 2. The Sentry XP protector is totally new for 2016. 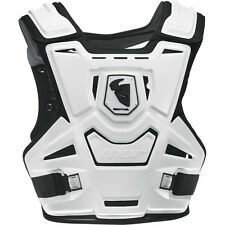 Reinforced chest, shoulder and elbow padding, with high-flow ventilation. lightly padded collar for comfort. 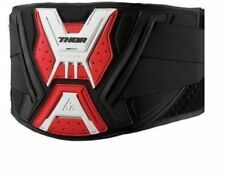 Removable belt for custom, comfort level and fit. 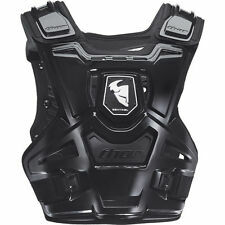 Features: The all-new F1 roost guard is a justifiable, yet simple new addition to the already amazing chest protection family. Its compact and form fitting design was tailored to fuel your competitive side without sacrificing comfort or protection.